Taylor Haskins is being hailed as one of the most original new voices on the trumpet today. In a recent feature, Downbeat magazine declared him one of '25 Trumpets for the Future', stating that Taylor displays "a probing, adroit lyricism and a gift for complex, imaginative composition." As a sideman, Taylor won a Grammy award working with Dave Holland, has been a member of Guillermo Klein's 'Los Guachos' for 15 years, and he also lends his sound to such artists as Richard Bona, Jamie Baum, and Andrew Rathbun, amongst others. In 2002 Taylor released his debut recording entitled “Wake Up Call” on the Barcelona-based Fresh Sound/New Talent label. AllAboutJazz.com called it an “impressive debut, wherein traditional forms are discarded and the beauty of new forms revealed.” In July of 2006 Taylor released his second CD on Fresh Sound, entitled “Metaview”. Cadence magazine called it "an affair of originality and dramatic flair...a highly recommended album by an original voice." Taylor grew up in the quiet woods of New Hampshire, where he began his musical life around the age of 4 by plunking out television and movie themes by ear on the family piano. Formal piano lessons began at 5, and at the age of 10 Taylor started to play the trumpet in school band. He proved to be a natural at the instrument and had very little private instruction until after high school, when he earned full merit-based scholarships to both undergraduate and graduate school to pursue his musical studies. 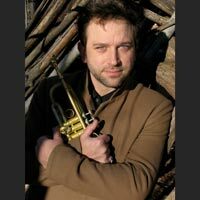 Taylor studied classical trumpet with Dr. Robert Stibler at the University of New Hampshire (BA, 1994), and in 1994 he relocated to New York City to study with trumpet legend Lew Soloff at the Manhattan School of Music (MM, 1996). In 1997 he was a semi-finalist in the prestigious Thelonious Monk International Jazz Trumpet Competition. In the past Taylor has also performed and/or recorded with Maynard Ferguson's 'Big Bop Nouveau”, Andrew Rathbun, Luciana Souza, the Maria Schneider Orchestra, Clark Terry, the Village Vanguard Orchestra, Peter Herborn's 'Large', Ed Palermo's 'Frank Zappa Big Band', TILT Brass Ensemble, the Bjorkestra, the Joey Sellars Jazz Aggregation, Rosemary Clooney, Helen Merrill, the Artie Shaw Orchestra, the Pablo Ablanedo Octet, the Big Apple Circus, Jamie Baum, & Ed Gerhard, amongst others. In addition to playing trumpet and composing music for his own groups and for theater and art projects, Taylor has also proven himself a versatile composer for various media, utilizing new technology in combination with traditional composing methods. He has composed and produced music for clients such as Diet Coke, Diet Pepsi, Target, AT&T, Buick, Smirnoff, MasterCard, Bounty, LL Bean, Canon as well as music and sound design for network ID's on the USA Networks and the WE Network. Taylor has also contributed original music to such films as “Arlington Road” (1999), “Waking the Dead” (2000), ”No Maps For These Territories” (2000), “The Mothman Prophecies” (2001), “The Rules of Attraction” (2003), and most recently his song 'Missing' was featured in “Sorry, Haters” (2006) starring Robin Wright Penn. Taylor has scored numerous independent short films as well, including the award-winning comedy “Spot”, for which he also wrote the screenplay. In addition to this myriad of activities, Taylor has also served as Creative Supervisor for music production house 'Face the Music' in Los Angeles, and for several years composed music and helped develop artificial-intelligence-based music composition software for 'tomandandy' in New York. Taylor currently lives & works in Brooklyn, NY. Haskins\'s \"Fuzzy Logic\" in JazzTimes! 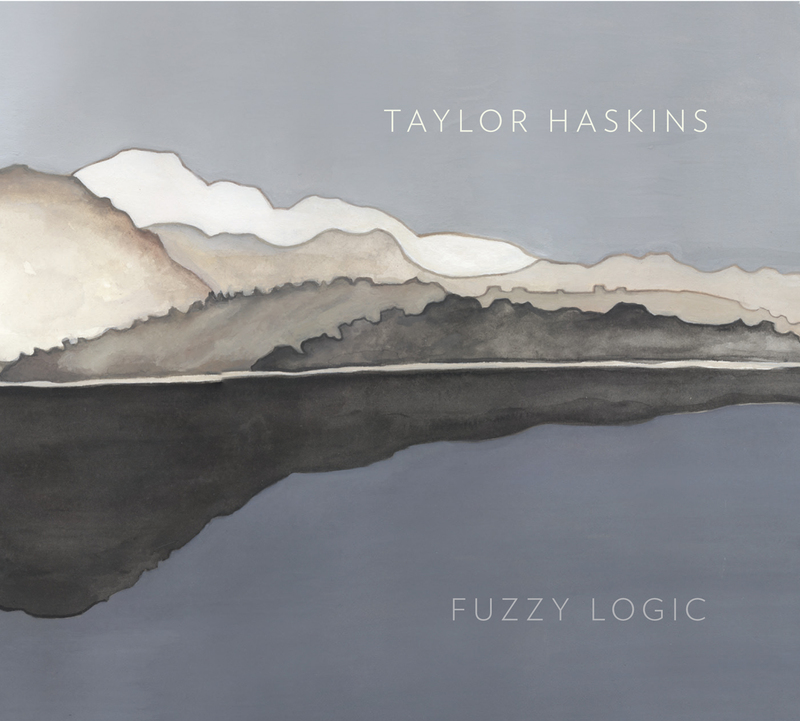 Taylor Haskins\'s \"Fuzzy Logic\" reviewed in JazzTimes!